LET’S GIVE BACK! – On May 28th, we announced that we would donate $500 for every 3 point shot that was made by any Golden State Warriors player to UCSF Benioff Children’s Hospital in Oakland. The Warriors made a total of 16 3 pointers that game, which totals $8,000. Today, part of the Icicles staff visited the children’s hospital to write a check and hand deliver it over the hospital. 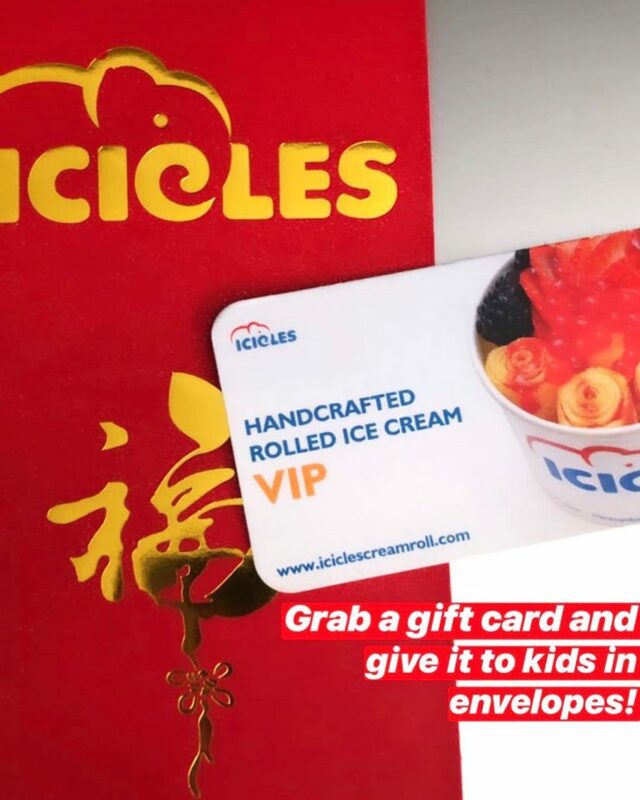 Icicles is all about giving back and helping those in need. We chose this hospital because we believe that children are the future and this hospital is a non-profit organization. For nearly 100 years, UCSF Benioff Children’s Hospital Oakland has been delivering exceptional medical care to children from all regions of California. The entire staff really takes time to carefully focus on each individual patient and makes it personable/relaxing stay for them. All of the children may be confused and get anxiety about why they’re there or how long they’re staying, but the staff does their best to make everyone feel comfortable. They even provide care and homes for the patients families as well. Cheers and prayers to all of the children here! We are excited to announce the addition of our 11th location coming this summer in Berkeley, CA! To join the rolling squad, email berkeley@iciclescreamroll.com today! NOTE – Must be 17 years of age minimum to apply. 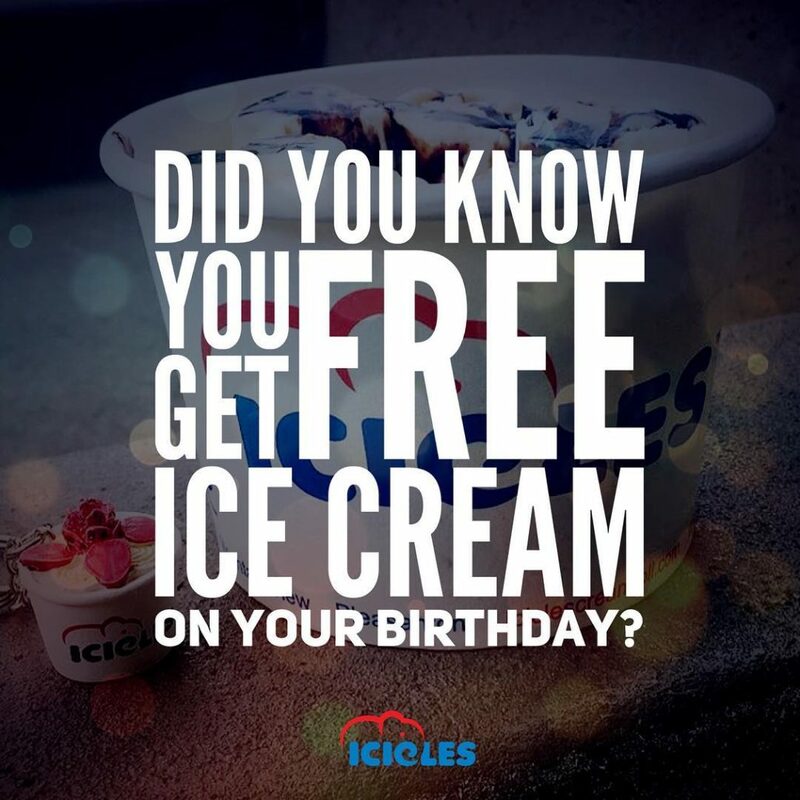 Icicles is all about giving back and celebrating with our friends and supporters. If it’s your birthday, come celebrate to a frozen bowl of handcrafted ice cream rolls. Just bring in a proper form of ID. For children, feel free to snap a photo of their birth certificate and show it to the front cashier at any of our locations today. http://iciclescreamroll.com/wp-content/uploads/2018/01/Candid-32-e1517362845979.jpg 667 1000 icicles http://iciclescreamroll.com/wp-content/uploads/2018/01/Icicles-Logo-300x137.png icicles2018-01-31 00:47:362018-03-15 03:49:26Did you know you get a free bowl of ice cream on your birthday?